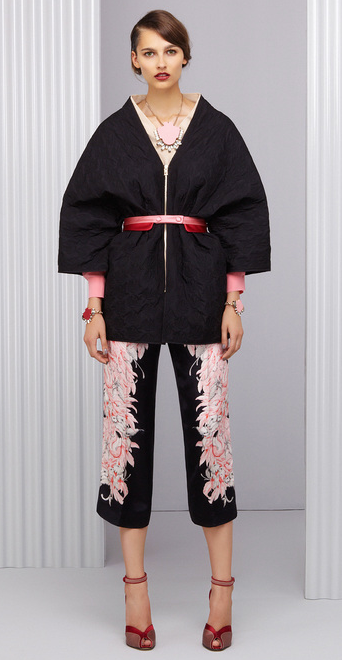 Fashion focuses on the East this season, with oriental inspired prints and embroidery on kimono style pieces that ooze luxury and glamour. The oriental trend is great for creating an elegant, chic look that will transition perfectly into your spring wardrobe ready for warmer weather! Below are a selection of the best oriental style pieces on the High Street with inspiration from celebrities and the catwalk. How to do a kimono jacket and jeans - a great look for spring. Nicole Richie wears a lot of oriental inspired pieces and looks totally fabulous in this bright yellow draped jacket - bring on the sunshine! Dakota Fanning takes a bold approach to the oriental trend with this intricate embroidered skirt suit. I love both pieces - just not worn together! Diane Kruger infuses the oriental trend with a monochrome skirt creating a cool, edgy contrast. 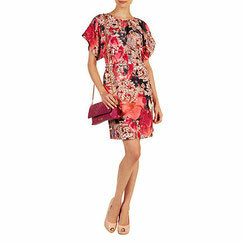 A simple yet stunning kimono sleeve dress in a striking digital floral print. Currently 30% off this dress when you buy online too! For a more subtle take on the oriental trend go for a great LBD with a kimono sleeve. This dress is super flattering as rather than clinging, it skims your shape whilst also accentuating the waist. A drapey kimono jacket with embroidered trim on the sleeves - a glamorous and lightweight alternative to a cardi which looks fab with blue denim. A stunning white embroidered jacket which looks as good with jeans as it does with an occasion dress. 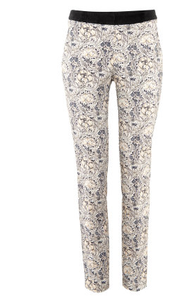 These skinny trousers in a totally fabulous oriental bird print are a great option for spring and will certainly freshen up your wardrobe. Wear casually with a plain T-shirt or glam up with heels and a blazer. 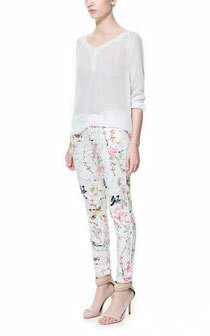 Printed trousers are still going strong and the bold florals and oriental prints are giving them an updated look for spring. This pair works for an everyday look with a simple woven T-shirt or a smarter blouse for work or a night out. 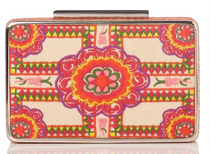 This striking box clutch bag will brighten up any outfit and add an Eastern feel - a great way to freshen up a well loved dress! 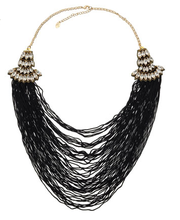 A statement necklace is a must have this season (and I'm a little obsessed with them!). This oriental influenced multi-strand necklace with crystal brooch style detailing would look amazing with a simple dress or a super sharp shirt. 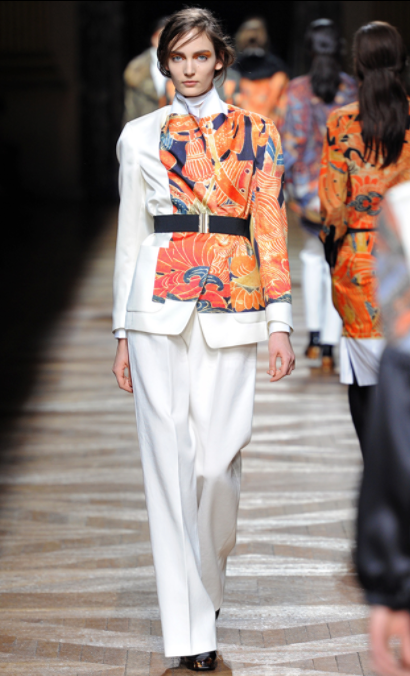 What do you think of the oriental trend this season? 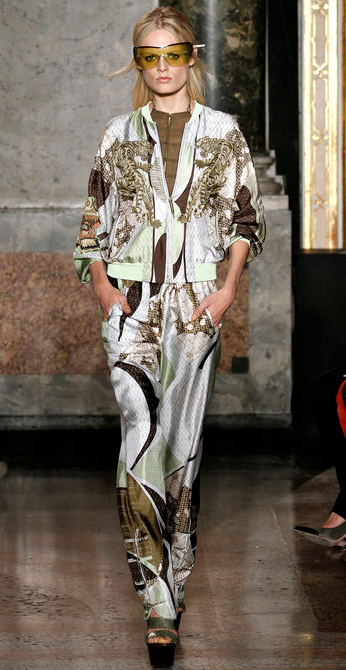 Do you fancy a kimono style piece to freshen up your spring wardrobe? I'd love to hear you comments!